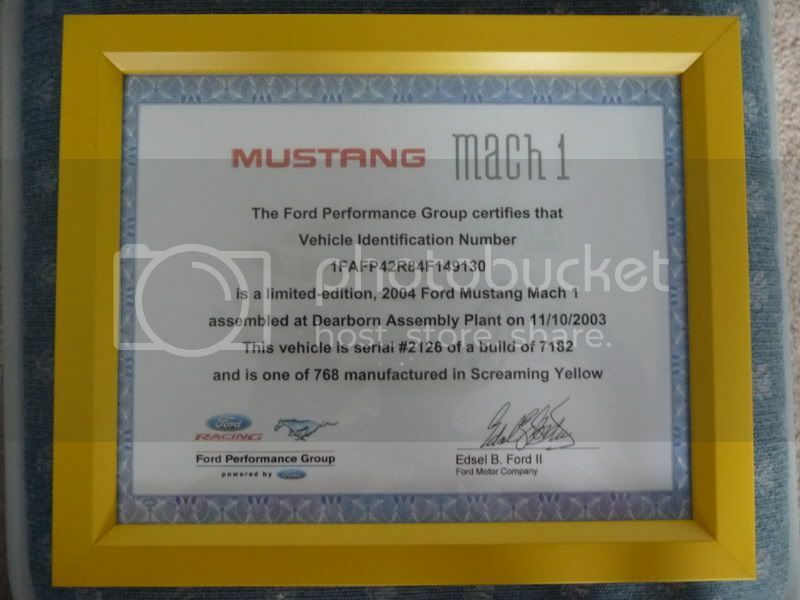 2003-04 Mach 1 Registry Owners Club - Mach 1 Registry & Ford Performance Group partnership!! Thanks Dave. :COOL: Arrived Oct. 4,2008. My charge card bill arrived two days ago.$38.50.